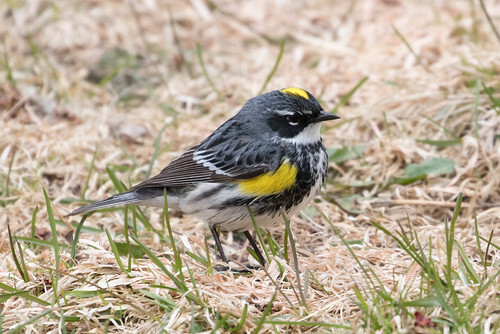 Every spring and fall during migration fallouts, a great many warblers end up grounded for a few days. Last week I talked about an Adopt a Barn Cat program from Animal Allies, the humane society here in Duluth. I’ve long been a supporter of Animal Allies, which works tirelessly to find homes for dogs and cats in Duluth. I was floored to discover that they've been adopting out feral cats that cannot be socialized to people with a protected barn or shed. Apparently the program has been going on for years, though I wasn’t aware of it until several people called my attention to a local Fox TV station’s news report about it last week. The news report said nothing about the program being illegal in Duluth because of our cat leash ordinance, but after raising the issue in calls to Animal Allies, I’ve been assured by the organization that they do not, in fact, adopt out feral cats within city limits. I’ve also been assured that only a few cats per year are adopted out through this program. But that doesn't compute. Each cat allowed to run free kills far more than one animal. A recent study found that every single free-roaming cat kills 23 to 46 birds and 129 to 338 small mammals every year. And these are just national averages. 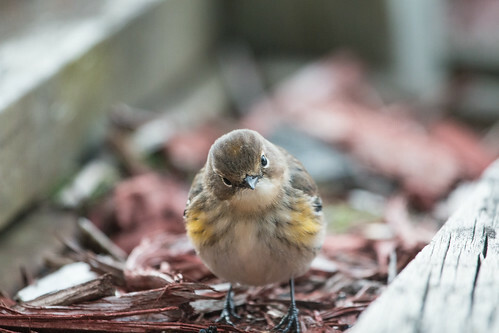 During migration fallouts, something our area has virtually every spring and fall, there can be thousands of grounded warblers flitting about all along the North Shore and several miles inland, so our unique location as an internationally recognized migration magnet exacerbates the potential bird kill for every single outdoor cat. And most of the barns I'm aware of in the outskirts of Duluth are in habitat where meadowlarks and bobolinks breed. These declining ground nesters and their young are especially vulnerable to cat predation. 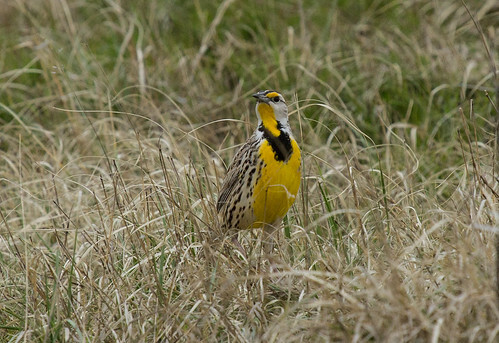 Eastern Meadowlarks and other ground-nesting birds found in pastures are especially vulnerable to barn cats. If we’re going to look at cats as unique and valuable individuals, we have the same obligation to look at each prey animal as a unique and valuable individual, too. If we prefer to look at populations rather than individuals, it’s certainly true that mouse numbers usually stay high even with outdoor cats, because mice, at the very bottom of food chains that include many predators, have exceptionally high reproduction rates. That said, several studies have found that in fields where barn cats prowl, the rodent prey base is often reduced enough to have a harmful effect on native predators such as American Kestrels. Songbirds are not at the very bottom of food chains, and because they have far fewer types of predators than mice do, their reproduction rate is much lower. Many of the warblers that breed up here nest only once per season, producing only four young per pair each year; the annual mortality for their populations is caused by all the dangers they face on their arduous migration as well as by predation. And thanks to so many human-caused disruptions, including domestic cats, many of our Neotropical migrants are declining. Those of us concerned about balanced ecosystems and declining species of course have a far greater obligation to protect rare and declining native wildlife than overpopulated domestic cats that are not part of the natural landscape of North America. Right now there is a huge and well-funded national movement promoting what is called TNR, for “trap, neuter, and release,” setting neutered feral cats loose where they can get food and shelter. The Humane Society of the United States supports TNR, as well as Alley Cat Allies and other national groups with deep pockets. Voices speaking out against these programs are far fewer and far less well funded. This blog and my radio program are entirely paid for out of my own pocket with absolutely no funding from anyone anywhere. But someone has to speak for the birds, to remind people that birds too have intrinsic value and as much right to exist as cats do, and that we have a moral obligation to protect our native wildlife in its native habitat from the depredations of domestic animals. The combination of your work towards introducing leash laws for cats within city limits and Animal Allies' work to reduce the feral cat population and educate pet owners has made Duluth a safer place for cats and for wild birds. I, for one, am very proud to be a part of this accomplishment. I'm proud of that too. Animal Allies promised to clear up misinformation about their Barn Cat project on their website, and will be reevaluating the whole project soon. I hope that they can find a better solution for the feral cat situation that doesn't make birds pay with their very lives for what is fundamentally a human-caused problem. It is a well-documented path for humans to acquire toxoplasmosis from eating livestock that has grazed on hay where "barn cats" have pooped. Toxoplasmosis is implicated in miscarriage, fetal deformity, blindness, deafness, dementia, schizophrenia, suicide... and death for immunocompromised (AIDS, organ transplant or chemotherapy) patients. So your barn cat program is killing a lot more than birds and rodents. I repeatedly say "Cats are an introduced predator that belong inside loving homes or safely (for all) in kitty heaven.